Some real life nightmares went down over the weekend. An extremely dedicated hive of 20,000 bees chased a car for two days after their queen got trapped in the boot. The swarm chased the 4×4 through Haverfordwest, west Wales, and attached themselves to the back of the car where they stayed for over 48 hours, the Independent reports. Tom Moses, a ranger at the Pembrokeshire coast national park, noticed the ‘brown splodge’ on the back of the car after the owner parked it in town to do some shopping. When he looked closer though, he realised it was a swarm of thousands of bees. I have never seen that many bees in one spot. It was very unusual and then you go and take a closer look, it is quite spectacular. It was interesting to see such a natural phenomenon but there were a lot of people around and I was a bit worried of the bees and the people passing by, their children stopping to look at it. It was the middle of a town and outside a pub. I thought that someone might do something stupid. It took five different beekeepers, park rangers and passers-by to coax them off into a cardboard box. But, unfortunately for the driver and the hive, the wind blew the lid off the box and the queen became trapped in the car’s boot for a second time. Unaware the queen was re-trapped, the owner drove away, and the swarm returned again – 48 hours of bee nightmare. 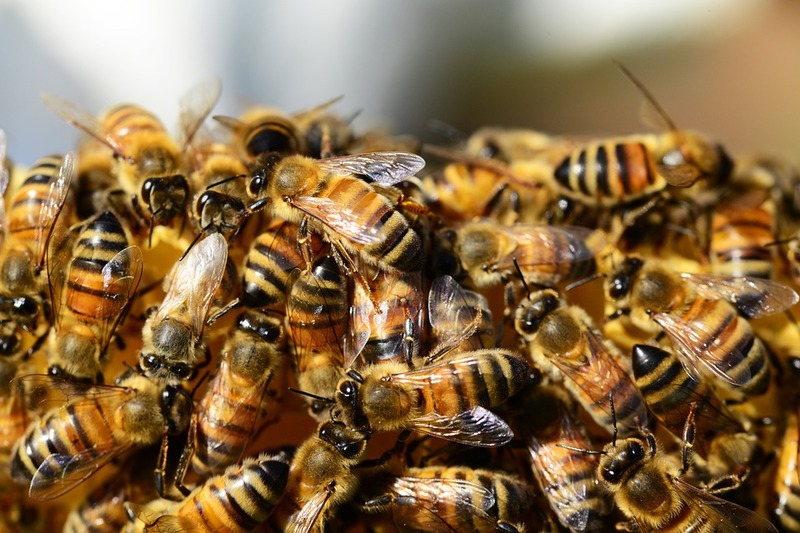 Roger Burns, from Pembrokeshire Beekeepers, was called to the car to get rid of the bees, and said it’s most likely that the queen had been attracted to something in the boot, like a sweet, the Telegraph reports. I got about 15 or 20 stings for my trouble. I have been beekeeping for 30 years and I have never seen a swarm do that. It is natural for them to follow the queen but it is a strange thing to see and quite surprising to have a car followed for two days. It was quite amusing.